Up-and-coming Melton cricketer Maddie Wrath has made an instant impact on the county scene after helping her Leicestershire girls side finish as champions. Maddie has turned out for Melton for the last six years and last year her development saw her invited for a trial with Leicestershire. The John Ferneley College pupil won a place with the under 13s side for the 2016 season and was asked to skipper the team in their opening match against Lincolnshire. And she led by example, hitting the winning runs with a boundary. The 13-year-old also shared in a record stand of 83 when opening against Bedfordshire in a record total of 230. A successful campaign culminated last week when she was part of the team which completed a 100 per cent winning season at Norfolk to be crowned group champions. Maddie, who is also a medium pace bowler, also plays for her school as well as the Melton Under 13s team and Melton’s girls’ side. She began her cricketing career as a six-year-old when she tried the game for the first time at Melton Mowbray CC through the Belvoir Bees scheme. 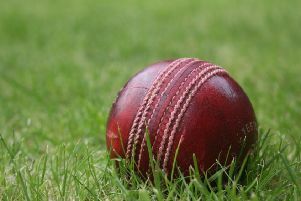 The initiative was introduced at the All England Ground by the Belvoir Cricket and Countryside Trust. When not inside the boundary rope, the cricket-loving teenager will probably be found not far from it, watching Nottinghamshire at Trent Bridge.